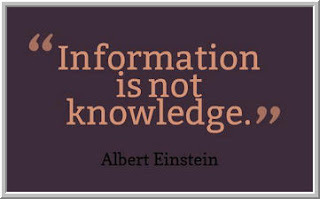 Too often, traders take in one piece of information after another, reading emails, scanning charts, reviewing research pieces, tracking news, and talking with other traders, and never get to the point where the information is transformed into knowledge. Someone trading the stock of a company may compile all sorts of statistics and news items about that company, but those in themselves don't ensure a knowledge of the company's competitive advantages and disadvantages or its growth potential. If someone gathered pieces of information about our lives, would they truly understand us? We often hear that the heart of trading psychology is discipline and the control of emotions. Other times, we hear that openness to and awareness of our emotions is crucial to enlightened decision making. Both perspectives have merit, yet both make the mistake of assuming that trading psychology is basically about what and how we feel. Every bit as important to our trading as our emotional psychology is our cognitive psychology: how we process information and turn it into knowledge. Indeed, I would argue that, as we move from beginning traders to experienced ones, emotion becomes less of a central focus for trading and information processing becomes more critical. Lo and Repin, for example, found that traders responded to heightened market volatility with emotion, with inexperienced traders far more reactive than experienced ones. Experienced, successful traders may or may not wrestle with emotional responses to a market scenario, but they will always be actively involved in processing that scenario and searching for opportunity. 1) Not making the time to assemble information into knowledge - Key to knowledge is finding meaningful patterns in data and placing those patterns into a framework for understanding. In my trading, I track statistics ranging from volume, breadth, sentiment, and buying/selling pressure, but it's the integration of the data that contributes to understanding. One form of integration is in the form of a mathematical model. Another form is a conceptual framework that is grounded in the concept of market cycles. If I get so caught up following the data that I don't engage in integration, I will fail to perceive valid trading opportunity. Equally problematic, I will tend to act on individual pieces of information that grab my attention without placing that information into proper context. 2) Not playing to our information processing strengths when we generate trading ideas - Each of us is quite different in how we make sense of the world. Some of us are quite mathematical and analytical, assembling views from the ground up. Others are conceptual and qualitative, looking for broad patterns to derive a top-down view of the world. My most native form of information processing is writing. Quite literally, writing is my way of thinking aloud and generating an internal dialogue that places information into perspective. Other traders accomplish the same thing by reading and taking notes; still others by engaging in multiple conversations. Far too often, traders fail to reach their potential because they're not accessing their cognitive potentials. They are making sense of markets in someone else's style, not their own. I've recently begun an experiment in which I engage in very extended journaling, writing out my assessment of the most recent day's market and where it fits into the broader picture of market cycles, but also writing out every single trade that I place, why I placed it, what worked and didn't work, and what I have done well or could have done differently. The depth of the journaling is far different from the typical end of day notes on trading and markets. In practice, I keep writing and writing until I get to the point where knowledge results from the information. It's early days, but the method so far has been helpful. One unintended consequence: I find myself feeling more confidence in trades when I've processed the opportunity in greater depth, in ways that are most productive for my sense-making.